Well in a surprise move by our beloved operator, BSNL to charge for it’s till now Free Missed Call Alert Service as reported on TT earlier, we just wanted to discuss few points on MCA by various operators and take feedback from users as well across different circles via comments. It’s an agreeable fact that BSNL has the widest coverage keeping Qos aside. If you are a BSNL mobile user you might be using the Free MCA service and get ready to pay 30/30days for the service starting this July 1st. Yes, every operator works and should move towards profits along with quality and may be let us assume BSNL has taken this decision considering the costs incurred to BSNL to send sms to it’s users. What ever it is we are now not bothered about the reason for making it a paid service. Unlike other operators BSNL has a very peculiar MCA service where in users are required to divert their calls to 17010 through their handset menu to avail free MCA service. Personally i’m experiencing the Quality of this service and a big No from my side if this is going to be the same quality even after making it a paid service. Am i out of Coverage Area? No, i switched off my mobile. Even the clarity and quality of the voice played to convey the message is pathetic and how come BSNL is expecting users to pay 30/30days for this kind of services? 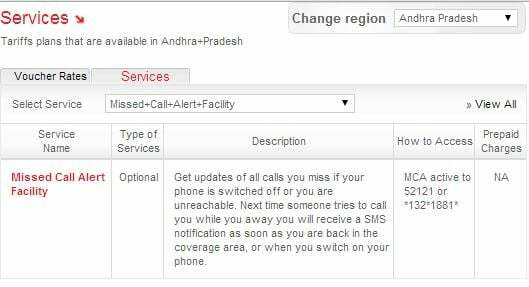 At least can we expect an immediate SMS Alert after the user enters into Network Zone or switched on their device? 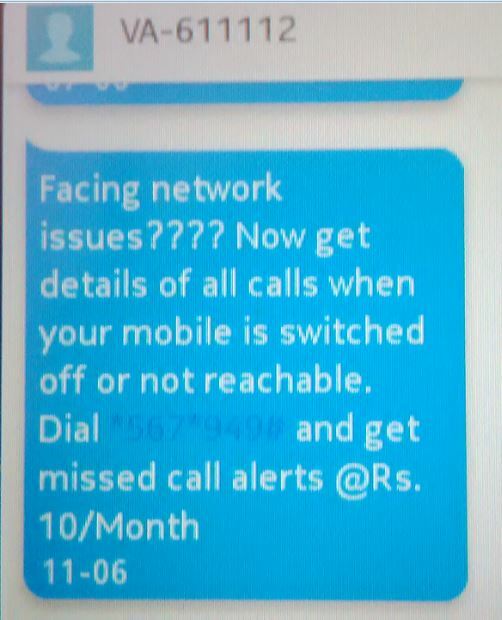 No, personally i didn’t receive any Missed Call Alert sms even after 5 hours after switching on the device. So, what is the real purpose in availing this service? There are also cases i experienced where there is no voice played for intimation to the calling party and no SMS alerts received to the called party. I personally tried from a different number of mine 🙁 and felt very bad. Shall you opt for this kind of services at 30/month? TATA Docomo started off with many slogans in the beginning – We Don’t charge for giving you, your information [I don’t remember precisely the slogan] and slowly after many rate changes starting from 7/month and now landed at market price of 30/Month. There may be situations where in users are getting the service for free or even lesser price to keep up loyalty. Woah I’m awe struck with the pricing of MCA service of Aircel and the Network Quality it has once we move out of cities. 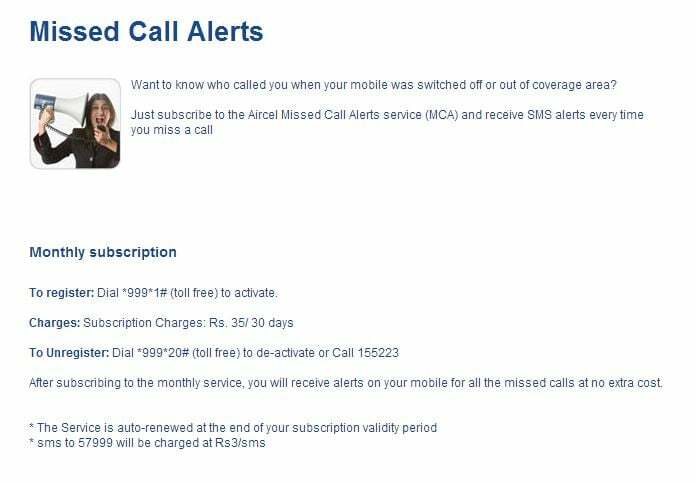 I just wanted to cross confirm this on mobile as Aircel may be updating it’s website and the Mobile also showed me the same price. Vodafone is charging the fixed VAS rate ie,. 30/month. May be some lucky and highly valuable customers be getting this service at a lesser price. Good to See Vodafone providing MCA @10/Month for selected customers. Reliance GSM is also providing the service @ 30/30days like any other VAS. There were various opinions regarding MCA service from Airtel, some say they are getting the service for free while some say they are being charged 15/month. While i also enjoyed free MCA for first 90 Days below is what we can see from airtel site. On a very positive Note Good to see and hear from people that Airtel is providing MCA services in a best possible way any operator can inspite of it’s wide Network and seamless Coverage and also at affordable prices. It is a good sign that despite good network all along the way the top operators are coming forward to provide MCA service for free or at suitable prices like 10-15/month which is reasonable for anyone to opt for services. I personally feel this isn’t big deal or loss for AVOID group as they have good connectivity and MCA sms needs to be sent only when a user switches off their device or at places where Network availability is zero. But on a negative tone, sad to see operators who have less coverage compared charging high for MCA despite providing them for affordable prices to their customers who are sacrificing Network for cheaper tariffs. That depends on the decision of users/operator anyways. 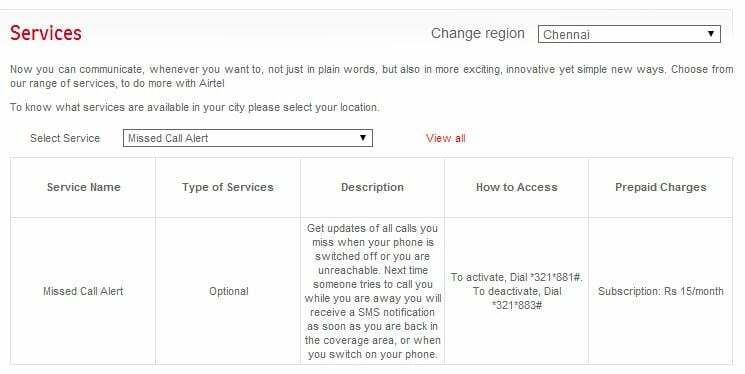 The good thing i observed with Airtel/Aircel – (in some cases) is that whenever any user switches on their device or comes into Network available area – the calling party (The person who initiates a call) receives an alert sms saying – So and So is available to take calls. Good isn’t it? 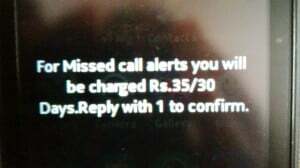 Aircel sometimes sends a message to get notified when a number is available to take calls by charging a Rupee or so. Dear Readers how much is your Operator charging for MCA Service in your Circle? Are these alerts in an understandable, quick and useful way for you? Are you enjoying any customized user/circle specific MCA offers ? pls let us know via comments. Note: Details are taken from respective Operator’s website and can’t be 100% accurate. Depends on site updating frequency of operators.There may or may not be any errors based on the data fetched manually. This article is strictly my opinion based on my personal experiences. May be the charges are circle specific and you may be enjoying special benefits if incase. *Please talk to CC executives before subscribing MCA services from any Operator or coming to conclusions.